Subscribe to our newsletter to keep up to date with our activities. 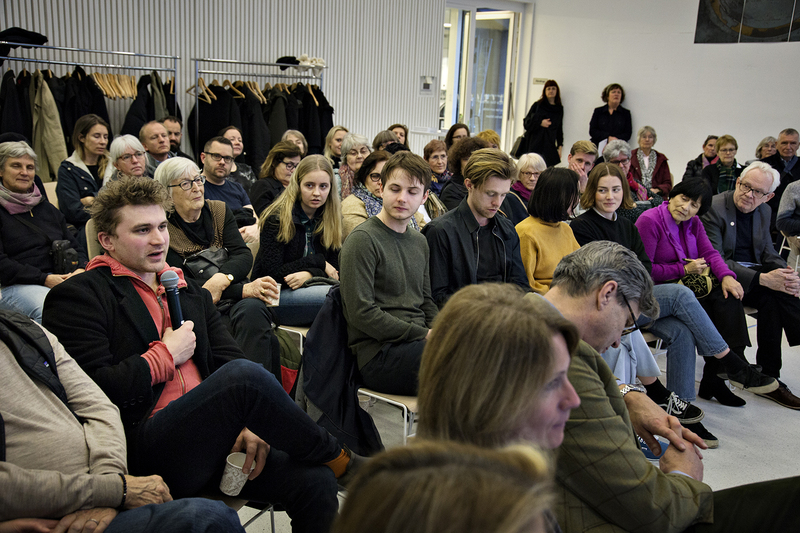 Throughout 2018 and ‘19 we will be holding a wide range of public events, seminars, field trips and picnics with Lund residents, architects, planners, geographers, academics, artists, local politicians, curators and developers to debate the nature of the Church’s development, the commissioning programme, other models of urban expansion and cultural provision, and to position the programme within a broader critical framework. Sign up to our newsletter to be kept up to date with the programme. Our public seminars address fundamental issues relating to the development project, such as time, money and land. Other seminars involve more focused discussions around specific commissions and issues that arise as the project evolves. So far speakers have included artists, architects, curators, developers, archeologists and writers. The seminars are open to everyone and have included walks, talks, symposia, themed meals, screenings and workshops. We would like these events to attract both local and international audiences to expand the conversation beyond the project in Lund. The first Råängen seminar was held on 28 April 2018. Speakers from Lund, New York, Berlin and London considered the subject of time as a cultural construct and tool for project development. The theme linked to the Lund Cathedral’s presence in the town over a 900 year period (since 1123, when the east-alter in the crypt was consecrated) and the commitment to their land in Brunnshög a thousand years into the future. We discussed the unique nature of long-term projects; the concept of earthly and heavenly time; our fragile relationship to the land; and the varying and magical ways that contemporary artists have worked with the subject of time. We challenged the idea that the future is the only place available for imaginative play; we located Råängen within the history of mankind, and considered pre-modern concepts of time as place. We are keen to involve local people in the discussion about the expansion of Lund, what it means, and how art and architecture can help extend the conversation. Råängen Conversations involve local speakers and participants. All welcome! Public discussion about Nathan Coley’s artwork Heaven, Jan 2018. Photo: Henrik Rosenqvist. We were delighted with the response to our first Conversation event held on 27 January 2018 at the Domkyrkoforum in Lund. The subject under discussion was Nathan Coley’s artwork ‘Heaven Is A Place Where Nothing Ever Happens’, located adjacent to Lund Cathedral between Nov 2017 and March 2018. The work was a huge talking point in the town; became the focus of many social media posts and lit up a part of Krafts Torg throughout the dark winter months. 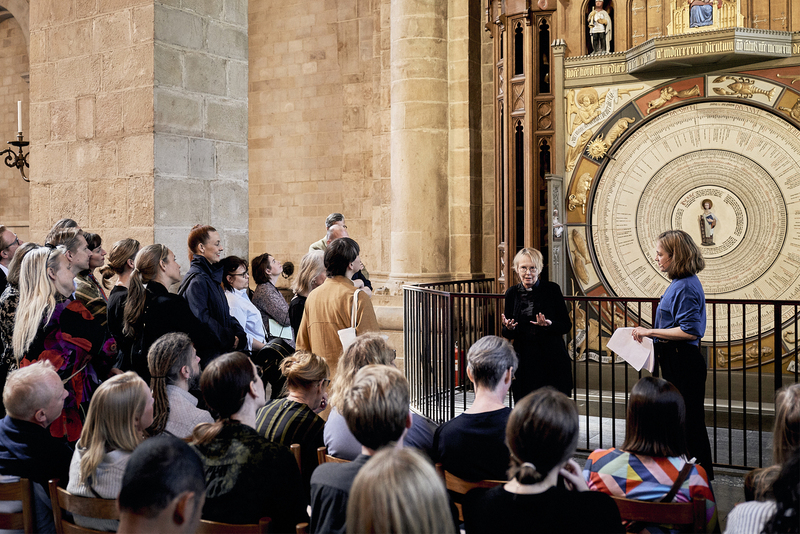 For Råängen’s second public conversation, Chaplain Lena Sjöstrand invited Lund resident and high profile activist Johan Wester to discuss the questions that have arisen around Nathan Coley’s sculpture ‘And We Are Everywhere’. The artwork has initiated a lively debate in the public media and social forums which will be fed into our plans for the Brunnshög development. 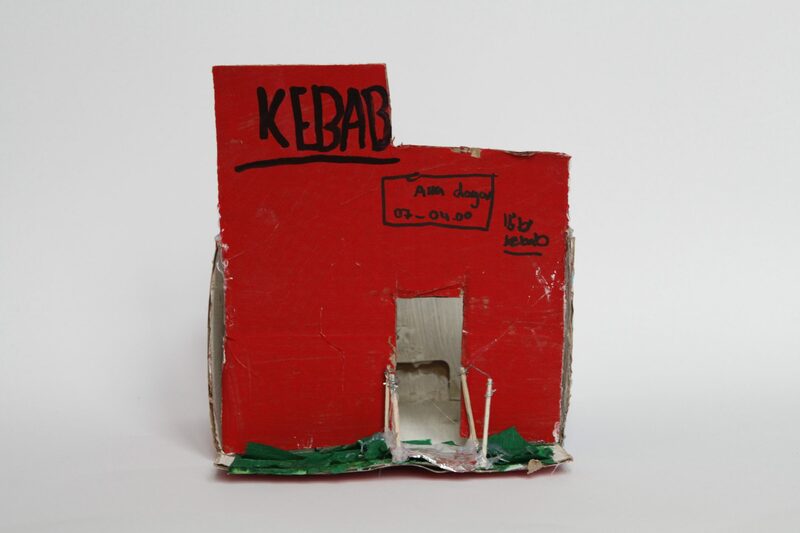 Involving children in the Råängen programme is one of our key objectives – to encourage young people to talk about the development of their town, what art can do to the spirit of a place, and what home means to them. We’d also like to amass a list of priorities for children in new developments, to ensure that their voices are heard throughout the design stages. To this end, we are working with schools and arts organisations in Lund to deliver a programme of workshops and trips for children, both at primary and secondary level. In October 2018 staff at Lund Cathedral and the Skissernas Museum worked together to develop a programme of workshops and site visits to discuss Nathan Coley’s artwork ‘And We Are Everywhere’. Children from pre-school age to secondary school took part. Day 1 entailed a visit to Brunnshög with a priest and a teacher where children explored issues raised in the work. Students talked about what was important to consider when building a new neighbourhood; what do citizens need in order to thrive? ; what is the function of art and how should a city of the future look? For day 2 of the programme, children visited the Skissernas Museum where they saw other examples of site-specific artworks. They discussed the importance of public engagement and participation, continued their conversation about building new towns, and made models of an imaginary new neighbourhood. These models were on display at the Domkyrkoforum in Lund from 9 Jan – 22 February 2019. An important part of Råängen is to reflect on the various themes raised throughout the programme. Here you will find commissioned texts by curators and writers who have been involved in our project. We’ll bring all of these texts together to form a book in future years. Cathy Haynes has written at text based on a time walk through Lund Cathedral with the Chaplain, Lena Sjöstrand. 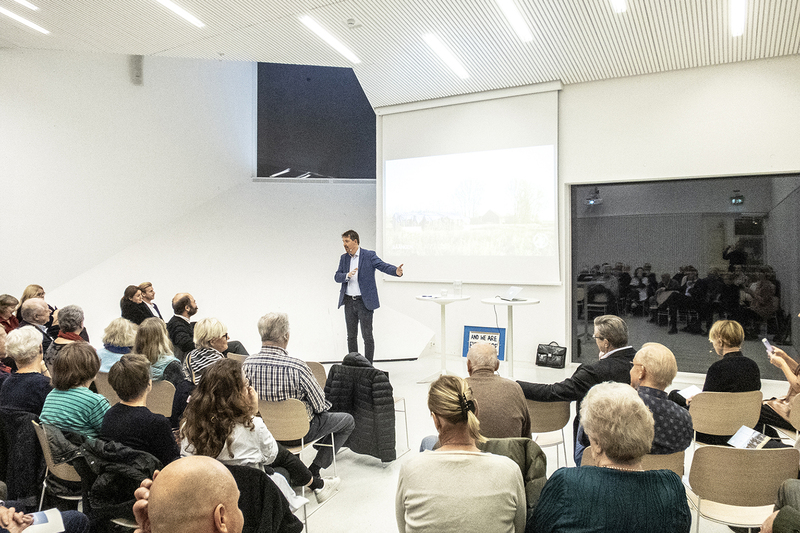 The event was part of the Råängen Time seminar held in April 2018. 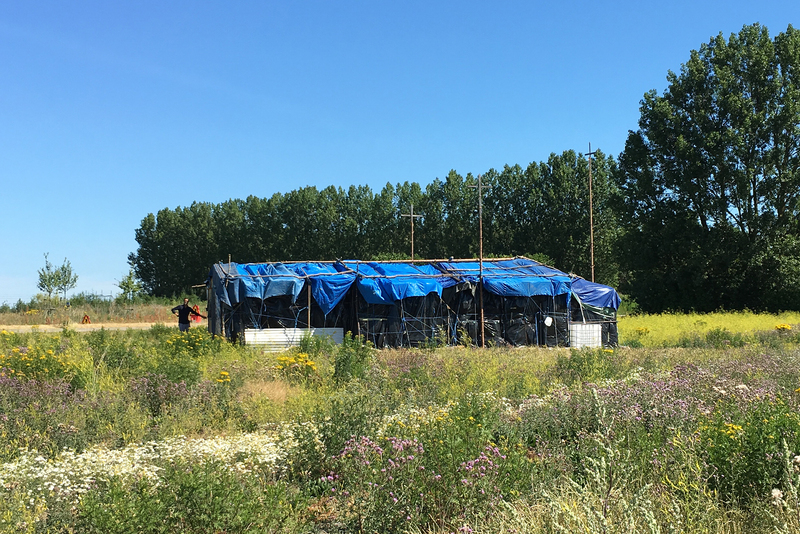 Jonatan Habib Engqvist has written a text reflecting on Nathan Coley’s Råängen commission ‘And We Are Everywhere’ (2018–2019). Due to the incremental and open-ended nature of Råängen, we are commissioning short films to document specific points in the process, disseminate the programme more widely, and to capture some of the multiple voices involved. Films made to date include interviews with artists, Lund Cathedral clergy, curators, architects and local residents. Film production: Holstergreen, film makers: FEW. ‘Heaven Is A Place Where Nothing Ever Happens’ by Nathan Coley was installed adjacent to Lund Cathedral from November 2017 to March 2018. In this film Co-Director of Råängen and Chaplain of Lund Cathedral, Lena Sjöstrand, talks about the work with curator Jes Fernie, and members of the public respond to the work. ‘And We Are Everywhere’ was a new commission by Nathan Coley for Råängen, located on the Cathedral’s land in Brunnshög from June 2018 to March 2019. In this film the Bishop of Lund, Johan Tyrberg, responds to the work; artist Nathan Coley, curator Jes Fernie, and landscape architect Jake Ford discuss the issues raised through the work.